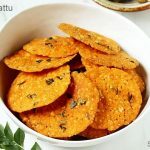 Nippattu are crispy deep fried rice crackers from Karnataka cuisine. These are eaten as a Evening Snack and are also made during festivals. 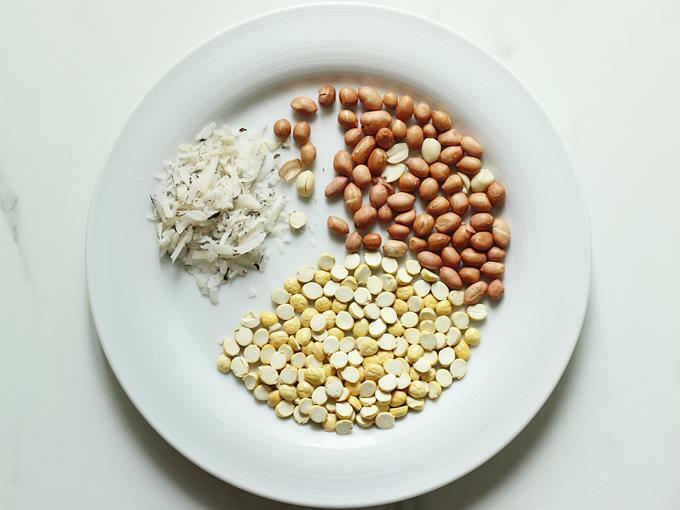 Nippattu are similar to Thattai from Tamilnadu and Chekkalu from Andhra pradesh. Though all 3 of them use similar ingredients, they differ in taste & texture. Each family has their own recipe and varies from region to region. I am sharing my mother’s recipe for thin crispy nippattu that are addictive & delicious. 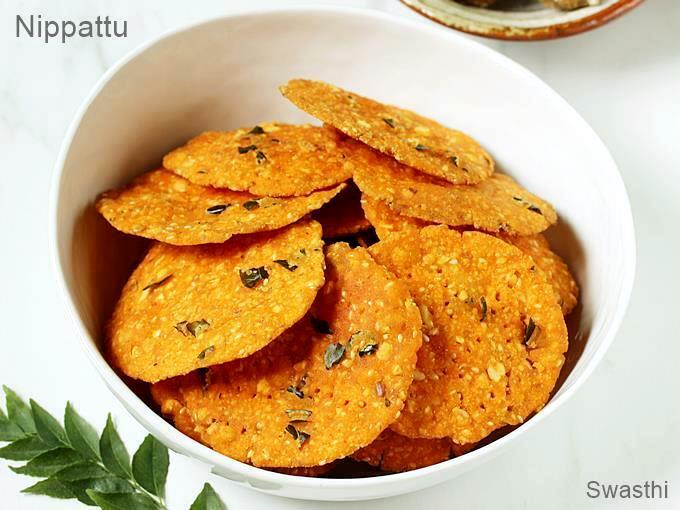 The use of peanuts, fried gram and sesame seeds in nippattu makes them aromatic and taste delicious. Usually maida and chiroti rava are used in nippattu. Maida helps the dough to bind well and also reduces cracks while spreading. 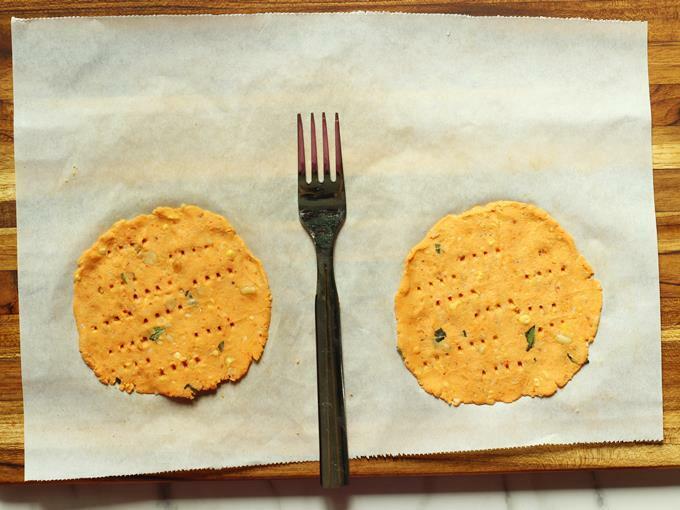 Chiroti rava is used to give a light crunch. However nippattu turns out great even with out both these ingredients. I had made 2 batches of the recipe with and without them. The nippattu shown in the above pictures are made without both of them. 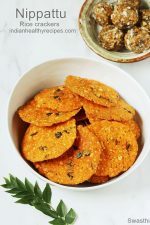 Many people prefer to make these with a small amount of maida and rava, so I have shown them in the step by step pictures which you can totally skip if you prefer to avoid. 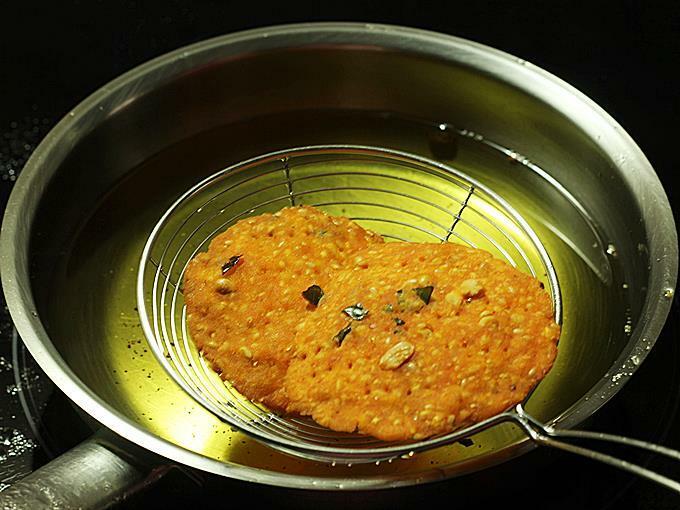 Nippattu is a deep fried snack made with rice flour, fried gram, peanuts and spice powders. 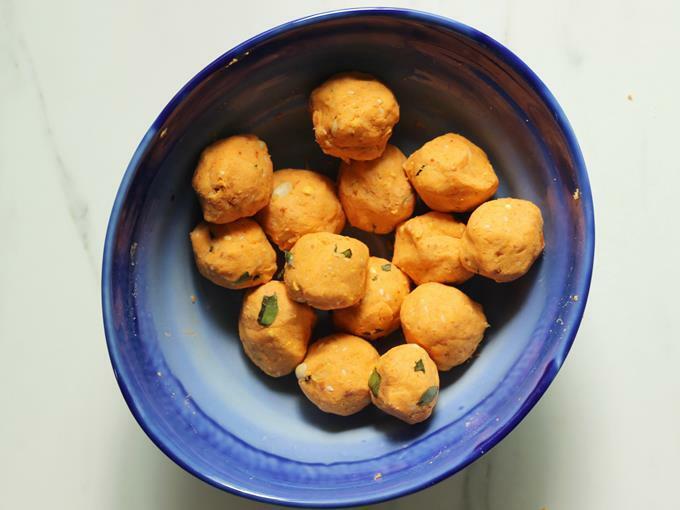 These are eaten as a tea time snack and are also made for festivals. Dry roast peanuts lightly until the skin begins to peel off. 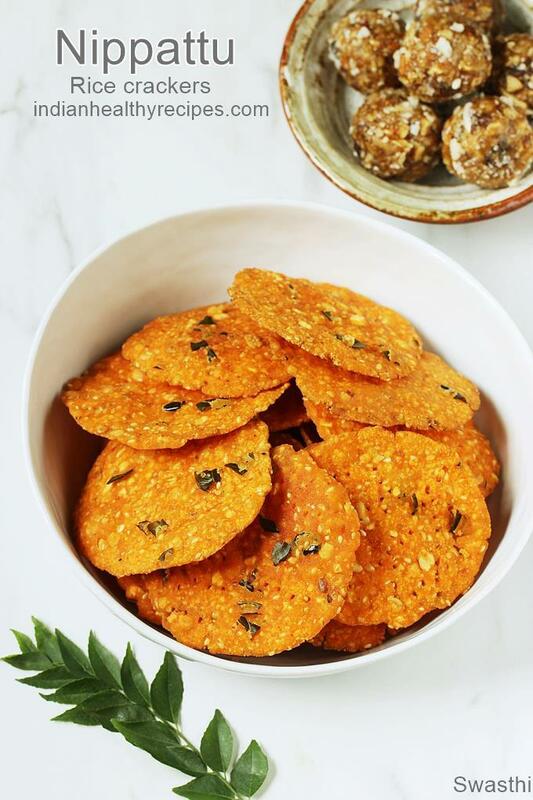 Cool them and pulse twice in a blender along with dried coconut and fried gram. The mixture must be coarse with some split peanuts here and there. 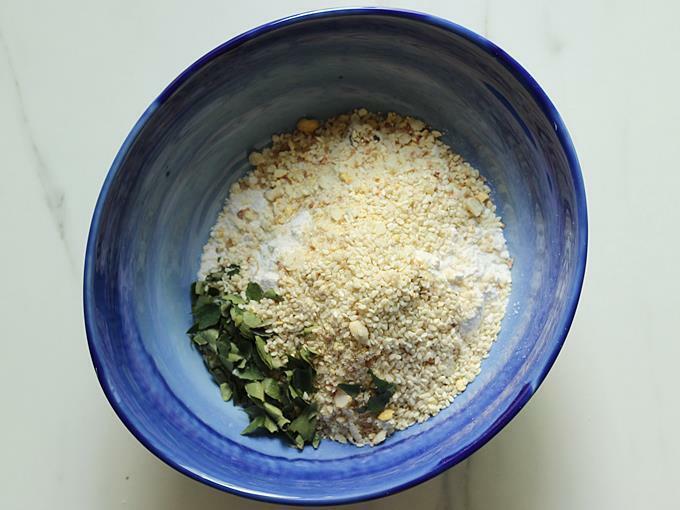 Add rice flour to a large mixing bowl. 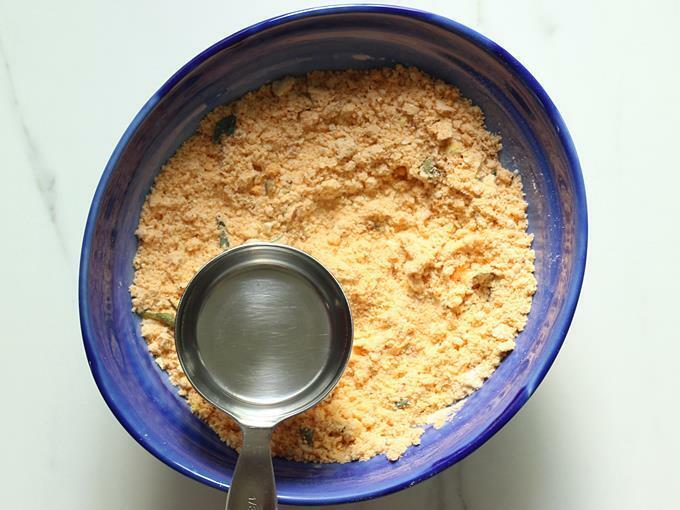 Also add crushed peanut powder, sesame seeds, curry leaves, red chili powder and salt. If using rava and maida you can add them as well. Heat 1 tbsp oil until very hot in a kadai. Pour this to the flour mixture. The oil must sizzle when it is added. Pour ¼ cup water and mix to make a non sticky stiff dough without kneading. If needed sprinkle more water as needed. 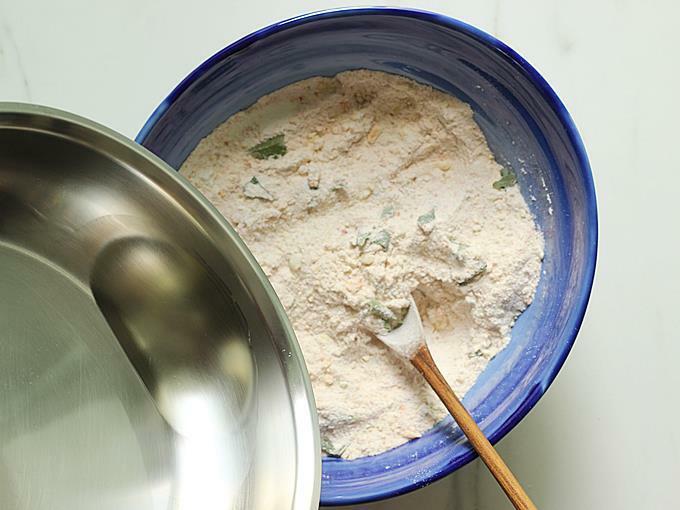 Divide the dough to 18 to 20 portions and keep the bowl covered. Meanwhile begin to spread the balls on a parchment paper or damp cloth to a thin round nippattu. The edges will begin to crack, just join them and continue to spread evenly. If the dough is too dry you can dip your fingers in water and continue. You can take a fork and prick the nippattu few times to prevent them from puffing. 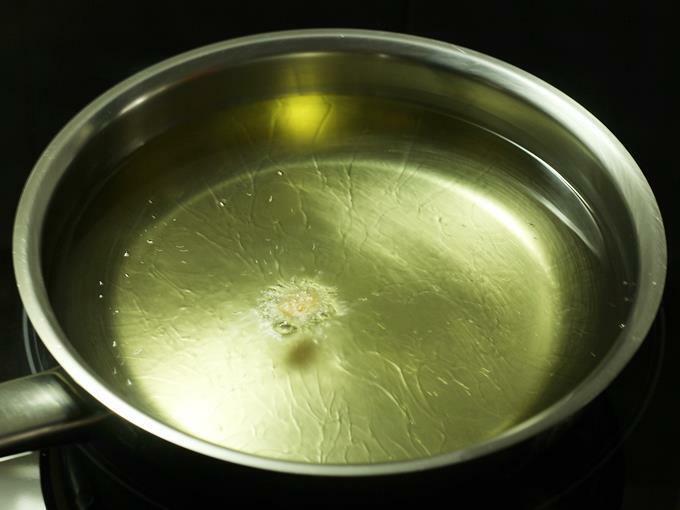 After making about 2 to 3, begin to heat oil in a kadai or deep pan on a medium flame. Continue making more nippattu. When the oil is hot enough, test by dropping a small piece of dough to oil. It must come up immediately without browning. Regulate the flame to medium high. Gently remove and drop nippattu in hot oil. You can fry about 2 to 3 in each batch. Avoid disturbing them for a minute. When firm and golden, flip and fry on the other side until golden and crisp. The bubbles will reduce when they are done. Remove them to a mess basket or colander. Avoid tissue. Continue making and frying all of them. Cool nippattu completely and store in a airtight steel or glass container. Avoid plastic container. Spread the dough as thin as possible other wise they will not turn crispy. Maida is used just to make the dough slightly sticky. It helps to bind the dough well. I have made them without maida and rava many times, they turn out good. If the oil is not hot enough then nippattu will soak up oil and will not remain crispy after few hours. They also turn soft and chewy the next day. Do not deep roast the peanuts as they burn when deep fried later and the aroma of nippattu will be oily after 2 to 3 days. 1. Dry roast peanuts lightly until the skin begins to come off. You can cool and deskin them, I went ahead without removing the skin. Do not deep roast the peanuts as they burn when deep fried. Coconut is another optional ingredients. 2. Pluse all the 3 to a coarse mixture in a mixer. It is good to have some split peanuts here and there. 3. Add rice flour to a mixing bowl. If you prefer then use chiroti rava (optional). 4. Next add 1 tbsp maida. This is optional. 5. 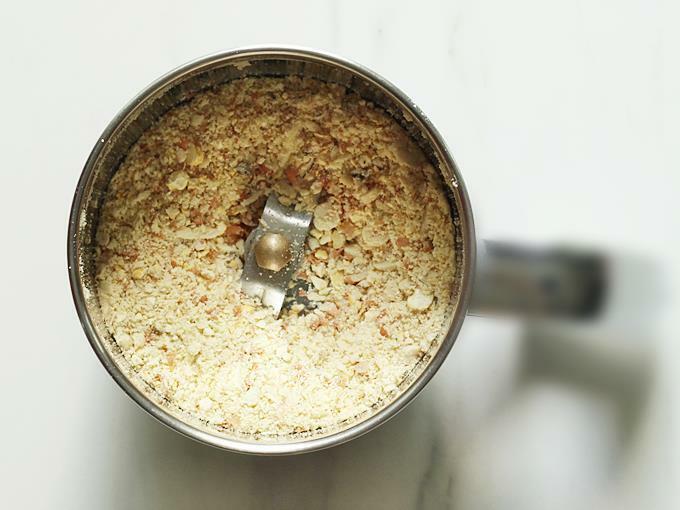 Add the crushed peanuts & sesame seeds. 6. 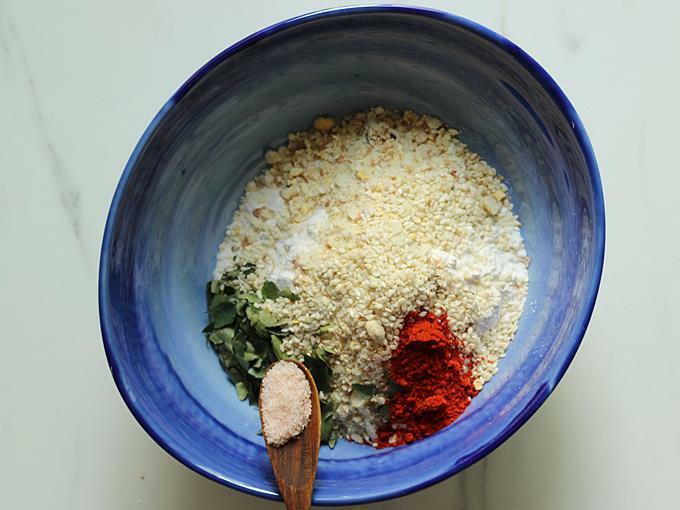 Then add salt, red chilli powder and curry leaves. 7. Mix all of them. Heat 1 tbsp oil in a kadai until very hot. Pour this to the flour. 8. The oil must sizzle. This will make them crispy. 9. 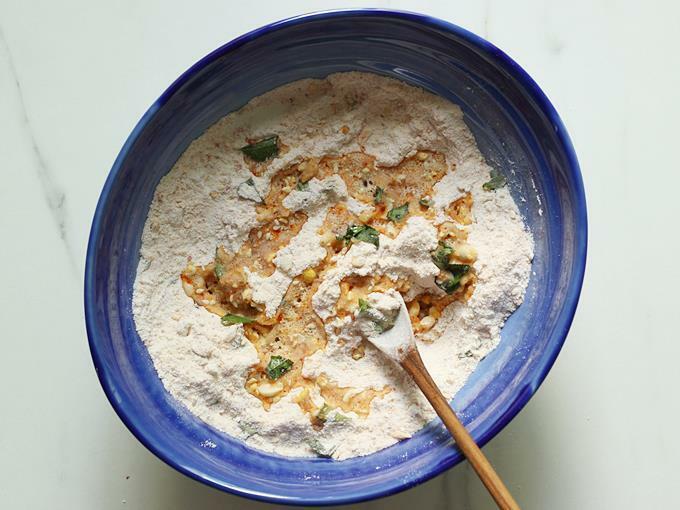 Mix up very well to incorporate the oil into the flour. Pour 1/4 cup water and make a firm and non sticky dough. Use more water as needed just by sprinkling. 10. 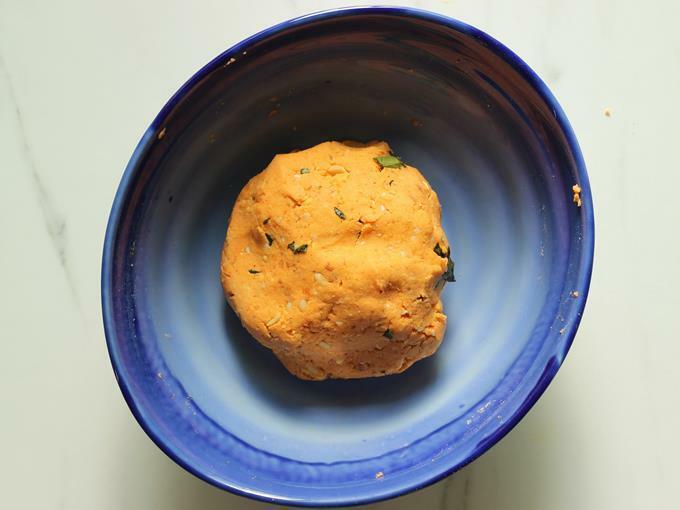 Making very moist or sticky dough may make the nippattu absorb lot of oil. 11. Divide the dough to 18 to 20 portions. Keep the bowl covered. 12. 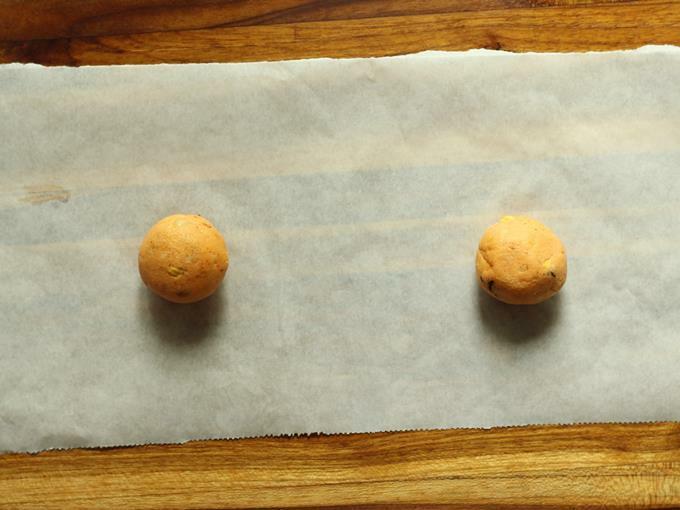 Use a damp cloth or parchment paper to spread the dough balls. 13. Spread the dough as thin as possible to make them crispy. If you get lot of cracks, then just join and spread. Or dip your fingers in water and continue. Prick them with fork randomly just to prevent them from puffing. If you keep the peanut mixture coarse then they will not puff. In that case you can skip pricking with a fork. 14. After making 3 to 4, begin to heat oil in a kadai for deep frying. Test by dropping a small piece of dough. It must come up immediately without browning. 15. Regulate the flame to medium high, then slide the nippattu one after the other gently. 16. 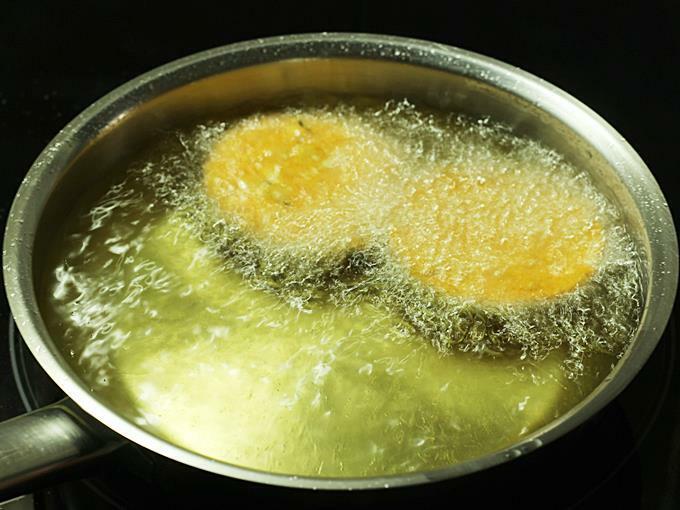 Flip them after a minute and fry until golden and crisp. Discard the oil after use. Remove them to a mesh basket or a large colander and avoid tissues. Cool them completely and store in a steel or glass jar. Avoid plastic jars. Perfect and easy nippattu recipe. Thank you. Thanks for the nippattu. My kids and husband loved them. Next I am trying your mysore pak. Will update you on it. Welcome. Yes sure try mysore pak as well. Thanks for the comment.